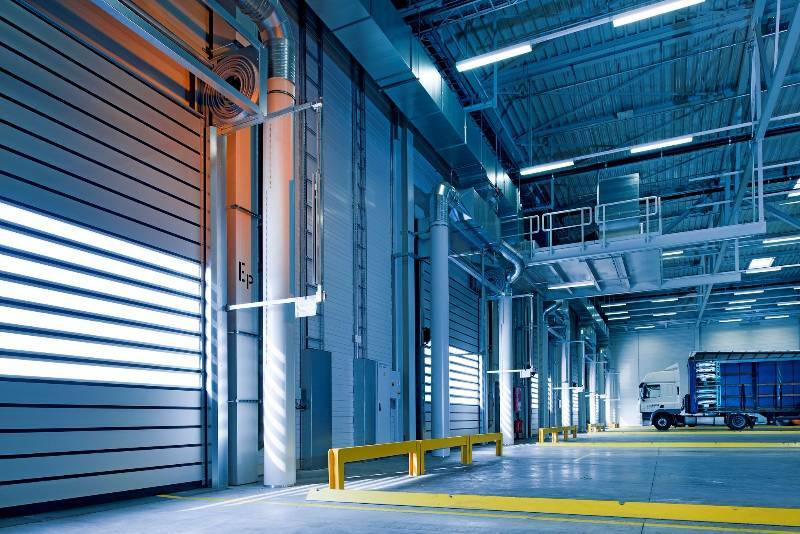 For operators of warehouses and factories of all shapes and sizes, maintaining clean and organised premises is one of the biggest struggles of the job. To help you out, we’ve put together this guide containing everything you need to know to keep the machines in your production line clean and in perfect working order and the aisles of your warehouse free of debris with the minimum of effort. So, read on to find out exactly why you should make the cleanliness and tidiness of your factory or warehouse a priority and how to maintain an organised work environment with the minimum of hassle. While making sure your factory or warehouse is always clean and tidy requires a bit of effort and forward planning, it can pay itself back several times over. Firstly, maintaining an organised working environment will make it easy for your staff to find the equipment and supplies they need, directly increasing productivity. It will also indirectly boost staff productivity — if your employees know you dedicate company time and resources to making sure their working environment clean, safe, and efficient, they are more likely to take pride in their work. As a warehouse or factory owner, it’s particularly important that you maintain a clean and tidy working environment in order to comply with health and safety legislature. The Health and Safety at Work Act (HSWA) 1974 requires all employers to ensure the health and safety of anyone affected by their work or in employment — this includes controlling slip and trip risks as far as reasonably possible. Furthermore, under the Management of Health and Safety at Work Regulations 1999, employers must assess workplace risks — including slip and trip risks — and take action to address them wherever necessary. Lastly, the Workplace (Health, Safety and Welfare) Regulations 1992 require the floors of your workplace to be suitable for the type of work that will be performed on it, in good condition, and free of obstructions. Failing to comply with this health and safety legislation can not only put your employees in danger, but also lead to your business failing a check from a health and safety inspector, which could lead to a serious financial loss. Make the guidance in the government’s guide to preventing slips and trips at work part of your regular warehouse or factory cleaning routine and you’ll comply with all current health and safety laws, as well as provide your employees with the most productive working environment possible. In short, maintaining a clean and organised warehouse or factory will lead to increased productivity and higher staff morale, as well as ensure your business complies with all the current health and safety criteria. On the other hand, a dirty and messy premises will not only prevent your staff from working at maximum capacity, but also send out a bad message to your employees and any visitors to your site about the kind of business you run. The type of work you perform on your business premises will affect how often it needs to be cleaned, but you should perform two kinds of cleaning routines: deep and regular cleaning. Over time, the floor of your warehouse is going to get dirty and your equipment is going to build up with dust and grime, both of which can seriously affect productivity. Your warehouse needs to be deeply cleaned before it reaches this point. How long this will take depends on what kind of work you perform, and may be different for each section of your premises. When you perform a deep clean of your warehouse or factory, you should set aside several hours to use heavy-duty cleaning equipment and supplies on every surface and piece of equipment on your premises. If you’ll be enlisting your staff to clean and tidy their own section, you should schedule the deep clean during a slow period if at all possible. If you’re hiring outside help to perform the clean for you, you should schedule them to come in on an evening or weekend so you don’t lose out on productive work hours. If you’re using your in-house staff to perform the deep clean, each employee should be designated an area of the premises. This area should be their responsibility and theirs only in order to ensure accountability, and before you begin the clean, each member of staff should agree to the area they’ve been designated. This will prevent any miscommunication or arguments down the line. Each employee should then be provided with the equipment and supplies they need to thoroughly clean everything in their designated area. You should also provide them with the training they need to use any specialist cleaning equipment they require. The first time you perform your factory-wide deep clean, you should ask each member of staff to note down approximately how long it takes to perform each process in the cleaning cycle they’ve been assigned. This will help you plan the next intensive clean even more accurately. You should also ask for them how they think the process could be sped up, as they may have some useful feedback that could improve the process. While performing your deep clean, you should take the opportunity to get rid of any clutter that has accumulated since the last one. This can be particularly problematic in storage areas and communal work spaces, which often become cluttered and hard to manage. Organising these areas can help boost productivity for everyone within your business, making it well worth the effort. Schedule a regular date for a deep clean of your warehouse or factory. Designate each employee an area they’re responsible for giving a thorough clean from top to bottom. Provide each employee with the equipment and supplies they need to deeply clean everything within the area they’ve been designated. Give each employee adequate time to clean all of the equipment within the area they’ve been designated to the required standard. Have your employees note down how long each process took them and solicit their feedback on how the process could be sped up. In between your scheduled deep cleans, you should also instruct your staff to perform a regular maintenance routine to keep on top of things and extend the amount of time needed before your next intensive clean. What kind of work do you perform in your factory or warehouse? Do you use machines that create a lot of mess, dust, and debris? How often do your clients and suppliers visit your site? A messy work environment doesn’t reflect well on your business and may have an impact on whether or not they want to continue working with you. Do you use equipment that requires a sterile environment to perform at its best? If so, your regular cleaning routine will need to be more intensive in order to maintain these levels of cleanliness. Just like your intensive cleaning routine, your regular maintenance should be planned in whenever needed. As a rule of thumb, each work station should be left ready for the next person to come in and use straight away. Your staff should therefore be allotted 5 minutes at the end of each shift to clean and tidy their work station or the machine they were using so the next employee who needs to use it can come in the next day and start work without any delays. If you have any equipment that is used infrequently, it should be given a quick clean every few weeks to prevent dust from building up and potentially affecting its performance. Employees should also be instructed to clean up any spills, debris, or rubbish as they appear to prevent them from causing a health and safety hazard or obstructing a thoroughfare. Provide employees with 5 minutes at the end of each shift to get their workspace clean and tidy so the next person can come in a use it straight away. Provide employees with the equipment and supplies they need to clean up any spills and messes as they happen and encourage them to be proactive in tackling mess in the workplace. If you’re committed to maintaining a clean and tidy factory or warehouse, it’s crucial that you provide your employees with all of the equipment they need to perform their cleaning duties thoroughly and efficiently. Each member of staff should be provided with basic cleaning equipment so they have the equipment they need to perform their regular cleaning routine. If each of your employees has access to a cloth, a dustpan and brush, and paper towels, they’re a lot more likely to clean up any spills or dirt as it appears. This will not only make your factory or warehouse a safer environment for your staff, but also give them more pride in their work environment. You should also make sure there’s waste and recycling bins at each work station. This will encourage your staff to dispose of waste as soon as it appears rather than leaving it to build up and become an issue. You should also set up a rota for emptying the bins so they don’t overflow and become a hazard themselves. 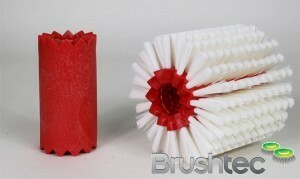 You should also invest in cleaning equipment that will help make regular cleaning routines as efficient as possible. For example, if you own a warehouse and use material handling equipment each day, you can invest in a Sweepertec attachment for your forklifts that will allow you to efficiently tidy your premises floor using the equipment that is already in use. It’s crucial to make cleaning your factory or warehouse as easy as possible for your staff, as it is unlikely to get done if it is complicated or inconvenient. Investing in this kind of equipment will therefore help ensure it gets done. It’s also crucial that you provide your staff with the equipment needed to perform a deep clean of their designated area when the time comes. For example, if you own a factory that quickly builds up dirt due to the heavy manufacturing, you may want to invest in a dedicated floor cleaner, as this will save hours compared to manually cleaning the floor. Buying this equipment outright will save you money in the long run on rental costs, and will also allow you to customise the equipment however you wish — for example, our wide range of disk brushes will allow you to use the cleaner on a variety of surfaces. Your staff also need access to any specific cleaning supplies they need to perform their deep clean. For example, any chemicals or specific cleaning equipment that they need to clean specialist equipment. Make an inventory of every item that needs to be cleaned in your factory and do your research into any products that could help your staff clean it more efficiently. It’s important not to try and cut costs when buying this equipment, as this will lead to inferior results in the long term, causing you to lose out on money and productivity. You should also take the time to look at your equipment and consider any ways it can be modified to extend the time needed between deep cleans. 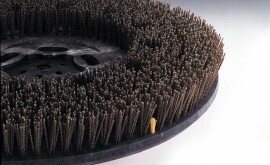 For example, if your factory operates a conveyor system, conveyor cleaning brushes will stop the build-up of debris and keep your conveyor belt clean and in working order. 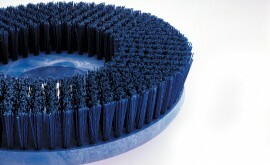 If you can think of a way in which cleaning brushes could help keep your machinery clean and in good working order, get in touch with our plastic division, which can advise, design, and produce any plastic parts you need using state-of-the-art plastic moulding technology. The cleanliness and tidiness of your workplace has a big effect on employee morale and productivity, but it’s impossible to maintain an organised warehouse or factory if your staff aren’t on board. If you’re planning on making a wholesale change in how your run your workplace, it’s important that your employees are invested in the changes. If you want your employees to buy in to your plans to maintain a clean and tidy workplace, it’s crucial that you communicate the benefits the new systems you’ll be putting in place will bring to them. Whether you do this through a company-wide email, a meeting, or both, it’s important that you explain exactly how maintaining an organised workplace will keep them safe and help them perform their jobs as efficiently as possible, helping them to meet their targets more easily. Make sure senior management are pulling their weight and doing as much as anyone else, or your staff will follow your instructions grudgingly, if at all. Above all else, you should make sure to dedicate staff time and resources to cleaning and organising your warehouse or factory — the resources you put into this will be paid back a hundred times over in improved productivity and staff morale. If your staff are expected to clean up their work space in their own time on top of their already full schedule, it’s unlikely to get done to a very high standard, if at all. If your employees need specialist cleaning equipment to maintain a particular machine in their cleaning remit, then you need to make sure they always have access to it. Make sure you invest in all the necessary equipment and also make sure it’s available to your staff at all times. Every so often, it can be a good idea to retrain your staff to make sure a high standard is maintained during your cleaning protocols. It can also be a good idea to have senior members of staff train new recruits to refresh their memory of best practice. Each member of staff should be given responsibility over their own area of the site, and they should be held accountable if it isn’t being maintained to the required standard. This should apply to senior members of staff just as it does to those further down the chain of command. Follow these steps and maintaining a clean and organised factory or warehouse will be as easy and hassle-free as possible. While setting this system up will require a bit of forward planning and trial and error, it will pay for itself several times over in increased productivity and staff morale. 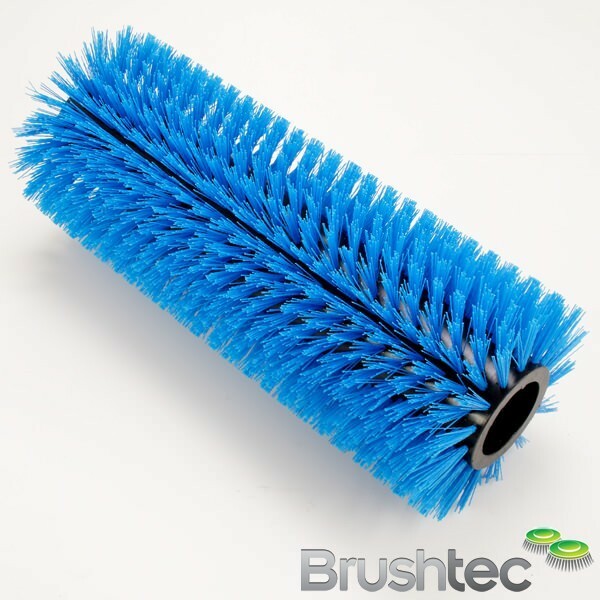 If you’ve any questions about efficiently tidying and cleaning your factory or warehouse or would like to know how else our specialist brushes can make your cleaning process easier, then get in touch with one of our experts today.